Shaharwali community is a small community but it has produced many famous people in various fields Starting from the Jagat Seth family. Jagat Seth family was very close to the Nawabs of Murshidabad. In fact, Nawab Mursheedkoolie Khan brought Jagat Seth with him while fleeing from Delhi to Mursheedabad. The Jagat Seth family has taken the charge of greatest Jain pilgrimage Sammet Shikhar and managed it for over a century. He has managed to get some Farmans from the Badshaha of Delhi in favor of the Jains. They also built Sanwalia Parasanath temple made of Kasauti (Gold tester) stone. This was the only temple in the world made of this stone. Amichand and Raidurlabh, the merchants in the court of Nawab Siraj-ut-doula were also belonging to Oswal Jain community. 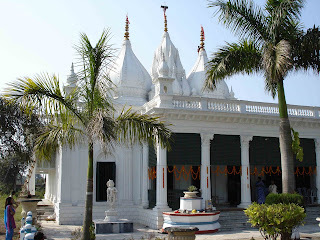 The Oswal Jain community in Murshidabad, later on, described as Shaharwali. The Golechha family was the next to come in the picture. 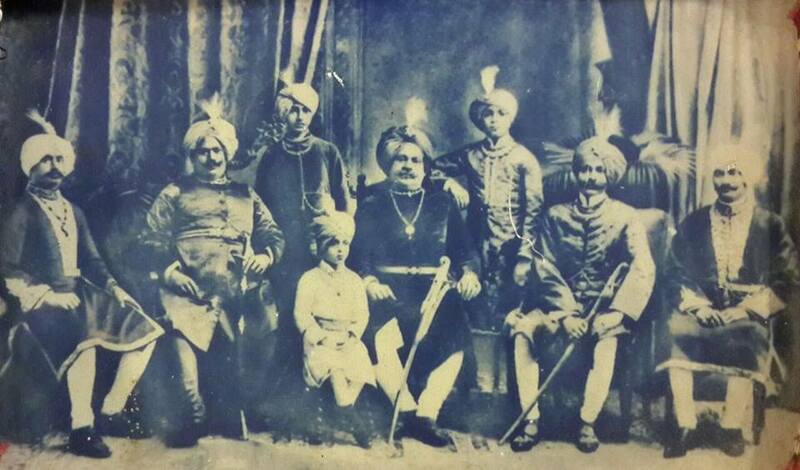 Harakchand golechha of this family took charge of Sammet Shikhar from the Jagat Seth family after their decline. He has also built Ratnamayee Chouveesee (24 Tirthankara idols made of various gemstones). Those, later on, installed in the Chintamani Parshvanath temple. Daughter of Harakchand Golcha was married to Nanak Chand Kothari, S/ O Panachand Kothari. Nanak Chand Kothari was a newcomer to Azimganj at that time. Jyoti Kothari, the writer of this blog, is his Grand Grand son. Dugar family served the society most. Practically they reigned for almost a century. Pratap Singh Dugar of this family took a "Sangh" to Palitana in Samvat 1883 with Upadhyaya shree Kshamaratana. Rai Bahadur Laxmipat Singh Doogar and Rai Bahadur Dhanpat Singh Doogar were his two sons who carried the tradition with them. Laxmipat Singh, the elder brother built famous Kathgola temple and Dadabadi and decorated the 100 acres land with beautiful marvel and statues and other decorative from Oslar company. Perhaps this is the biggest land devoted to a Jain temple. Sripat Singh Dugar of this family built two colleges in Jiaganj and a community hall in Kolkata Jain Bhawan. He also contributed generously for publication of Jain stories series by Pandit Kashinath Jain. (Seated in Middle row...left to right...Surput Singh ji Dugar...Hind Kaiser Narpat Singh ji Dugar...Rai Bahadur Gunpat Singh ji Dugar..Maharaj Bahadur Singh ji Dugar...Mahiput Singh Ji Dugar...standing at back..
Rai Bahadur Dhanpat Singh Doogar, the younger brother has done numerous work for the religion, trade, and society. He built Famous Dhanpat Vasahi alias Babu Ka dehrasar (Temple of Lord Adinath) in the talhatti (Valley) of Palitana, the Shatrunjaya Teertha. He also took charge of Sammet Shikhar teertha from Golechha family. The Dugar family had maintained it for more than seventy years before the Jain community took charge from them. 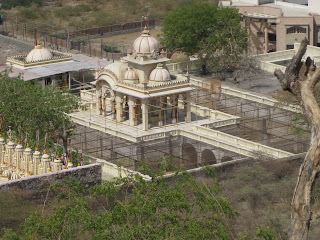 Rai Dhanpat Singh built the main temple there in Madhuvana and also Jal Mandir above the hill. He also built dharamshala there. He has built many other temples and Dharamshalas in various pilgrimages such as Kshatriyakunda, Gunaya, Barakar, Kakandi, Champapur etc. and other places such as Azimganj, Ganpatganj, Pratapganj etc. He set up a printing press in Azimganj to get all the Jain Agamas (Sacred and holy books) printed. It was the first time in the history that Jain Agamas were published in printed form. They were the Zemindars of Harawat estate (Poornia district of modern Bihar). Rai Bahadoor Dhanpat Singh Doogar founded the Bengal chamber of Commerce and adorned the Chair as the first President of the same. Kamala Pat Singh Kothari, S / O Nanak Chand Kothari was married to the grand daughter of Rai Bahadoor Dhanpat Singh Doogar. Kamala Pat Singh Kothari is the great grandfather of Jyoti Kothari, author of this blog. Doogar family also owned their own Railway from Azimganj to Nalhati. How rich they were? Have their own Railways!! Instead very religious! Nice to learn. I liked the society very much. Thanks Anju for your comment. Please keep reading. I have posted more on it. Dugar family was the greatest family from Azimganj Murshidabad. They have done a lot for religion and society. I AM BEWILDERED ABOUT KNOWING DUGAR FAMILY.I HAVE HEARD LOT ABOUT THIS FAMILY FROM MANY JAIN SADHU MAHARAJ IN THEIR PRAVACHAN- I WOULD LOVE TO MEET THEM - WHEREVER I TRAVELLED IN BIHAR AND JHARKAHAND -PRATICALLY EVERY TEMPLE AND DHARAMSHALA BUILT BY THEM.BABU DERASAR IN PALITANA IS THE LAND MARK IN THE HISTORY OF JAINISM.....I FEEL NUMBER OF PEOPLE PERFORMING PUJA IS THE HIGHEST AMONG ALL JAIN TEMPLES IN THE WORLD. YEAH PRIVAR KI JITN ANUMODNA KI JAI WHO KAM HAI.KITNA PUNYA KA UPARJAN.......IS PARIVAR KO ST SAT PRNAM. MR JYOTI AFTER READING YOUR BLOG I ENQUIRED ABOUT THIS FAMILY - I WAS ASTONISHED TO KNOW ,ONE FAMILY COULD DO SO MUCH FOR THE RELIGION AND UPLIFTMENT OF THE SOCIETY. I WAS TALKING TO ONE ACHARYA BHAGWANT HE TOLD ME THAT RAI BAHADUR DHANPAT SINGH JI WAS INSTRUMENTAL IN GETTING MORE THAN 25000 JAIN IDOLS OF DIFFERENT TIRTHANKARAS CARVED. HIS FATHER PRATAP SINGH JI DUGAR HAD TAKEN OUT A SANGH FROM AZIMGANJ TO PALITANA -IT STARTED WITH 5000 PERSON AND WHEN IT REACHED PALITANA THERE WERE MORE THEN ONE LAKH PEOPLE -IT TOOK 5 LONG YEARS TO RETURN TO AZIMGANJ.EVEN A STAVAN -SHIDHACHALGIRI VIMLACHALGIRI......HAS HIS NAME AT THE END. A FEEL A BOOK CAN BE WRITTEN ABOUT THIS FAMILY.....IF YOU COULD GET ME THEIR ADDRESS AND PHONE NO OF THEIR DECENDENTS I WOULD LIKE TO MEET THEM AND OFFER SAT SAT PRANAM TO THEM.